Most household cleaning products can be easily made at home with three ingredients: baking soda, vinegar and water. These three staples, paired with other simple household ingredients, can eliminate almost all industrial cleaning products we buy at the store, creating a more simple, environmentally friendly and pleasant cleaning experience. The All-Purpose Set – a refillable spray bottle and funnel for storing and using the cleaning mixtures, a pot and teaspoon for scooping baking soda onto sponges or into boiling water, a decorative bottle for storing vinegar – elevates these ingredients, encouraging people to make and use their own cleaning products. By turning these utilitarian objects into functional display pieces one will keep them in view and thus at arm’s reach, reducing the amount of waste, clutter and hazardous chemicals that accumulate under the sink. 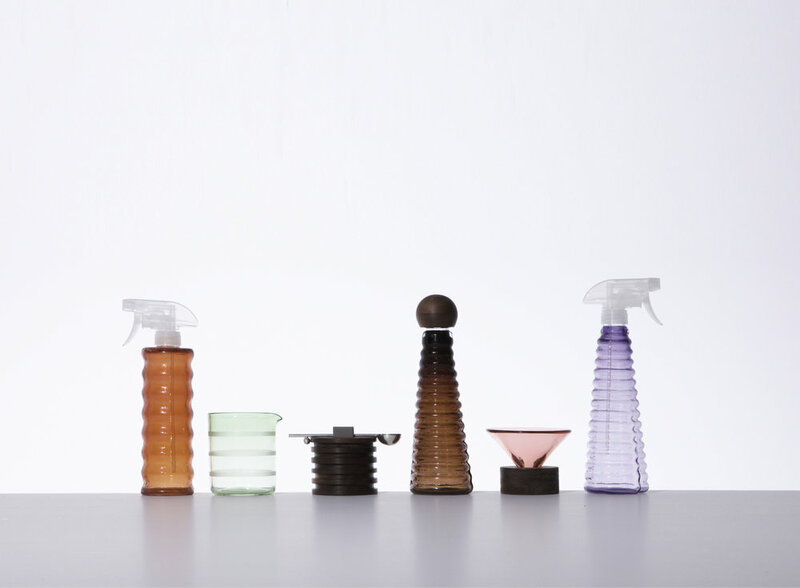 Sophie Lou Jacobsen is a product designer whose work focuses on enhancing the enjoyment of everyday objects. Using design as a tool for analyzing modern rituals, she aims to alter perspectives, and ultimately mood, through her work. 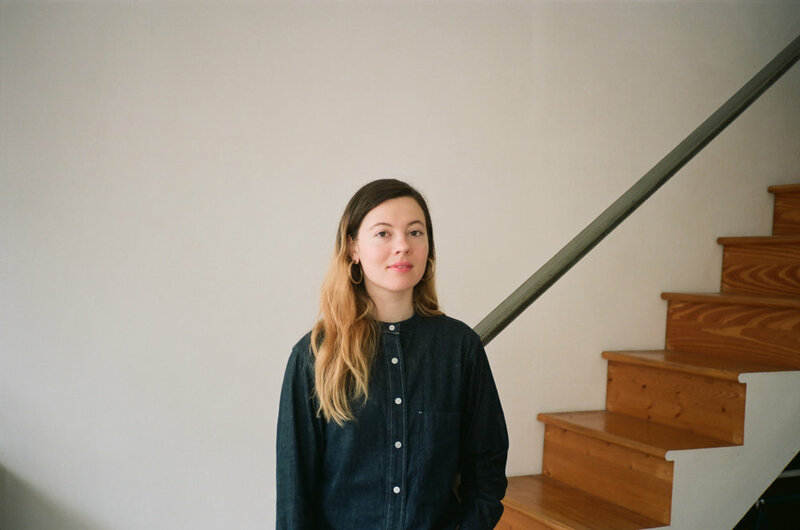 Having spent over a decade studying and working in both London and Paris, Jacobsen is now based in New York City, where she designs objects, graphics and spaces.